A Direct Print On Forex offers a state-of-the-art, seven-colour print at an affordable price. High picture quality on an extremely robust and lightweight substrate. Our Direct Print On Forex uses a seven-colour print with UV-curable inks for full resolution and great detail. We use the latest technology to print your photo directly onto the white, extremely lightweight material. Water resistant Direct Prints On Forex can withstand changes in the weather, meaning they are even suitable for sheltered outdoor areas and bathrooms. We create your print in the exact dimensions you choose. We offer standard formats in sizes from small to extra-large and optional rounded corners. Alternatively, you can choose a special format like panorama, circular or square. You can even set your own custom aspect ratio! Our Direct Print On Forex arrives ready to hang as a standard. You can also have your picture framed if you like, providing a visual border and even more stability. Picture hanging hardware is integrated into the frame, meaning you can hang your picture right away – in either landscape or portrait orientation. Our standard is to include pre-installed wall mounts for simple and secure picture hanging. For Forex prints between 25 cm and 100 cm, you have the choice between synthetic hooks or a rectangle of aluminium rails. For pieces under 25 cm, we use the hooks. For pieces over 100 cm, aluminium rails ensure it can be hung securely. Freethinkers and spontaneous people love our direct prints on Forex. They are super lightweight and sturdy and can be placed virtually anywhere – and taken down again just as easily. It couldn’t be simpler to hang the pictures or move them to another location. Forex is very robust – but if you are looking for something to last forever, then you are better served with our original photo prints under acrylic glass. Nothing lasts forever? Original photo prints under acrylic glass by WhiteWall most certainly do. We aren’t being brave when we offer a 75-year guarantee for colour brilliance – we simply know our products and what they can do. 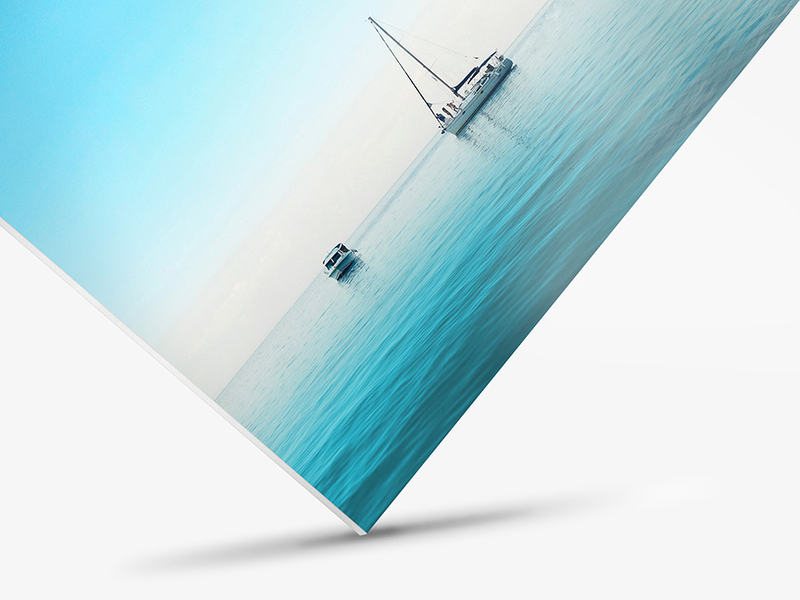 The same applies for our original photo prints on aluminium Dibond – sealed under a whisper-thin protective UV foil, this laminate on aluminium Dibond is extremely durable. We offer a variety of branded photo papers for the exposure of your photos as well: Select either Fuji Crystal DP II, which is available in matt or glossy, Kodak Endura – also available in matt or glossy – or the matt Ilford paper for monochrome prints. Forex is more suitable for short-term exhibitions or events. But it doesn’t always have to be an original photo print if you are looking for something more durable – many of our direct prints are extremely robust and also have other advantages: The various substrates available allow us to offer you prints with diverse visual effects. 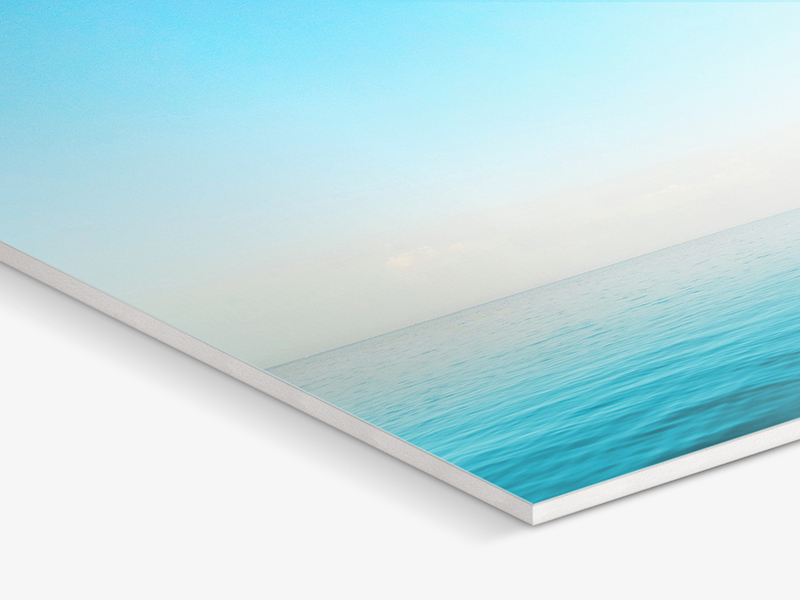 A direct print on brushed aluminium, for example, offers a metallic sheen in the brighter areas of the picture. The horizontally brushed aluminium surface shines through in these areas – resulting in a contemporary matt look with a metallic sheen coming through in the brighter areas. This effect is particularly striking in the presentation of free-standing objects or for images containing metallic surfaces. Quite different once again in terms of visual effect and of higher quality than a direct print on Forex is our WhiteWall HD metal print. It is a visually very intensive premium print. State-of-the-art technology burns your photo into the 1 mm thick custom coating of the aluminium plate, where it is safely sealed. As a first step, your photo is printed onto transfer paper using Fine Art Inkjet inks. The ink is then steamed into the coating of the 1 mm thick aluminium plate using pressure and heat, fusing the materials permanently. The process is called dye sublimation and allows the rendering of exact details and brilliant colours with excellent durability. 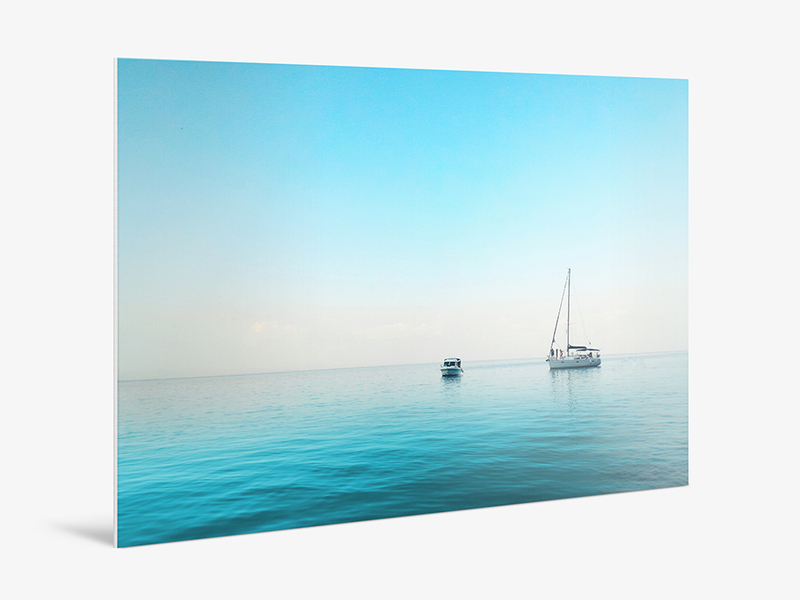 HD metal prints are very robust and are also suitable for roofed outdoor areas and bathrooms. 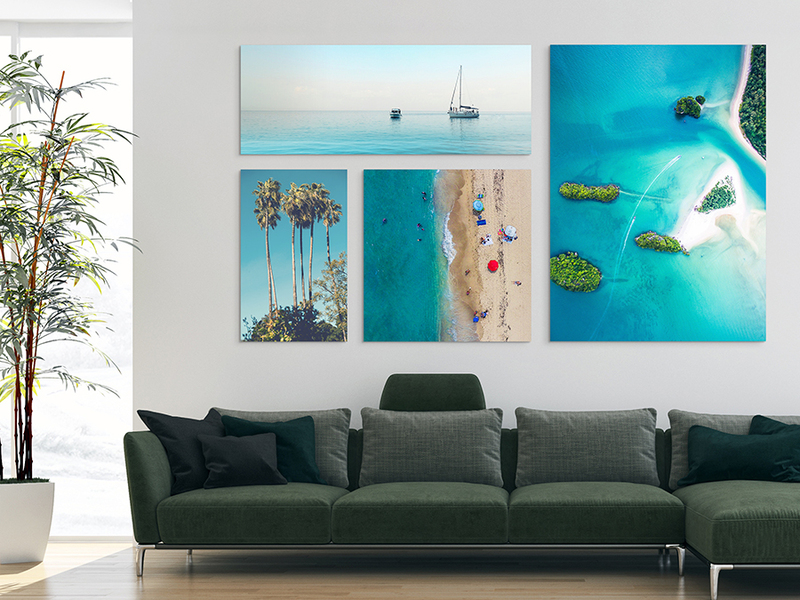 Have a look at our “Canvas” product page as well and decide for yourself – is your picture meant for the here and now or do you want it to last forever. We offer products for any requirements in premium quality at affordable prices.